The Smiggle chain’s bright colours and cheap and cheerful stationery have proven a hit with Australia’s nine-year-old girls and boys. Now Mark McInnes is hoping youngsters in Britain will have the same appetite for Smiggle’s rucksacks, pencil cases, lunch boxes, drink bottles and erasers. The former boss of department store chain David Jones, who has been chief executive for almost three years at ­Premier Retail (the retail business owned by billionaire and BRW rich lister Solomon Lew’s listed Premier Investments ­vehicle), believes Smiggle can be a ­global champion. He’s about to find out if Smiggle, which has 124 stores in Australia, can become a serious player in the $2.4 billion British market. The first Smiggle store is set to open on February 20 in Britain in Westfield Stratford City, the giant shopping centre which opened in 2011 and is adjacent to London’s Olympic Village. McInnes, Smiggle group general manager John Cheston and the Premier Investments board are aiming to have 200 Smiggle stores operating in Britain within five years. This will make the British Smiggle business much larger than the Australian operations, which are rapidly approaching saturation point with 124 stores. Smiggle also has 17 stores in Singapore after first entering that market two and a half years ago, and that business is tracking solidly. Mr McInnes thinks Smiggle has the right stuff to become a highly pro­fitable global brand as it attempts to muscle in on Britain. 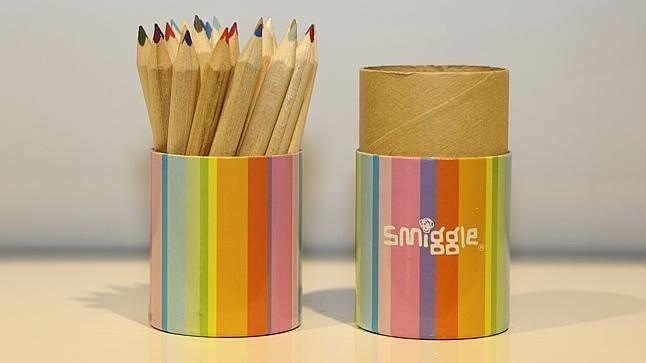 Smiggle’s biggest competitor is the private equity-owned Paperchase, which has about 100 stores in Britain and much larger store footprints of about 200 to 250 square metres. Paperchase has 70 per cent of its range focused on adult stationery. Another competitor is WH Smith, a newsagent, bookseller and stationery group. Cheston says large shopping centre landlords are keen to have Smiggle as a tenant because there is little risk of sales leaking away to the internet. The average transaction size of Smiggle customers is about $20 each visit, as children shop with a parent and younger teenagers make purchases of fashionable stationery with their pocket money. Smiggle has a small internet presence but makes most of its sales in stores. The former Just Group paid $29 million for Smiggle in 2008 when it was just 20 stores and sales revenue has risen from $19 million to more than $90 million. Premier Investments bought Just Group for $800 million in late 2008. Posted on January 23, 2014, in #international, #retail, #uk. Bookmark the permalink. Leave a comment.